The Badminton Retreat is the Mitsubishi Motors Badminton Horse Trials 2019 official glamping site. Set within the idyllic grounds of Badminton Estate at Huntsmans Close on the cross country course. For details on how to reach Badminton by road, rail and air please visit the official Badminton website. 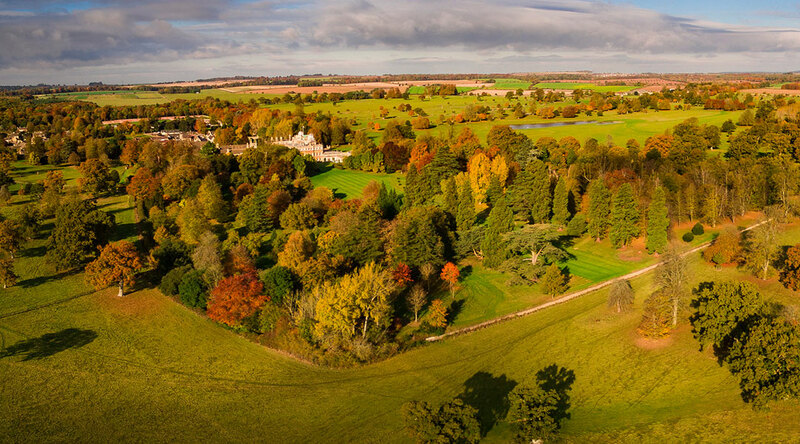 Please approach Badminton Retreat via Park Piece Gate on the west side of Badminton Park. You will need to display your windscreen label and have your badges to hand to gain admittance. Season admission and car park passes along with directions will be sent out from end of March onwards. 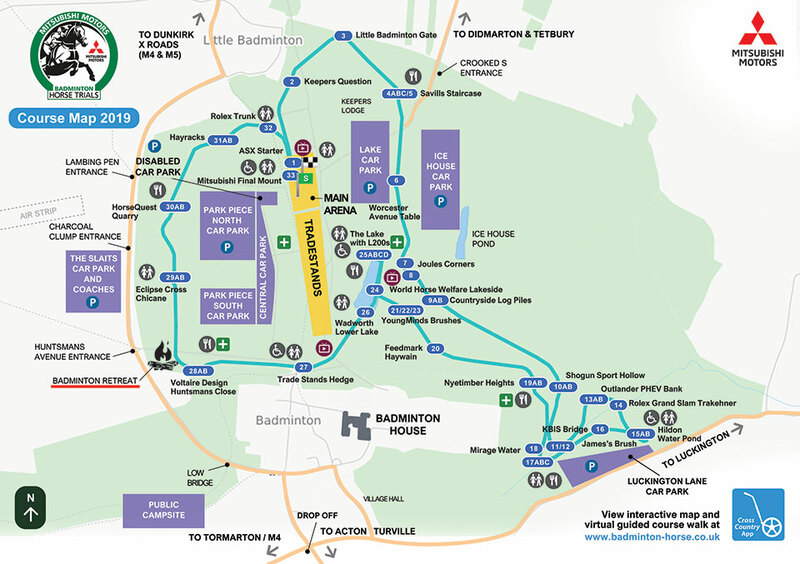 The Badminton Retreat windscreen label will allow you to access our private car park situated within the secure site at Huntsmans Close. Upon arrival at The Retreat, if you require assistance with your bags, please go straight to the reception desk and a porter will be ready to help. Below is a map of the 2019 cross country course. The Badminton Retreat location is underlined in red next to the Voltaire Huntsmans Close jump 28AB. To download a PDF version – please click on the map or button below.  PLEASE NOTE, ALL RESERVATIONS MUST BE MADE ON-LINE. ALL GUESTS MUST ALSO PURCHASE A SEASON ADMISSION PASS AND ONE CAR PARK PASS PER VEHICLE. PLEASE ENSURE YOU ADD THESE TO YOUR BOOKING. SUNDAY GRANDSTAND SEATS MUST BE BOOKED SEPARATELY THROUGH THE BADMINTON BOX OFFICE IF YOU WISH TO WATCH THE SHOW JUMPING AND PRIZE GIVING. N.B. SEASON ADMISSION AND CAR PARK PASSES WILL BE SENT OUT FROM MARCH ONWARDS.